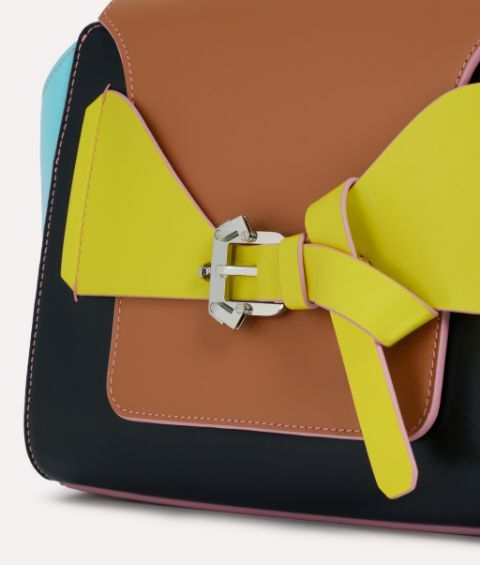 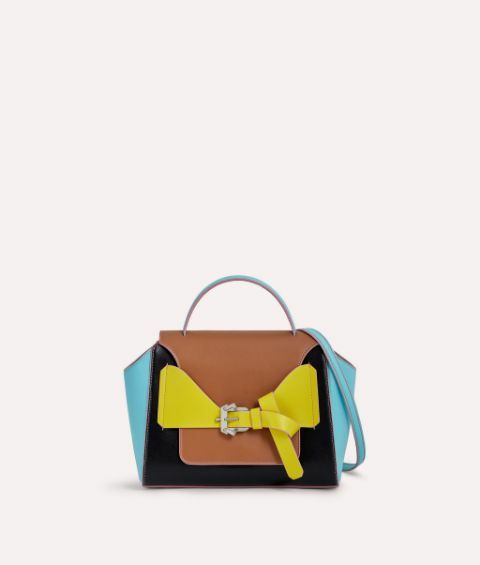 The charming imagination of Paula Cademartori is captured in the True Small Sunset bag. 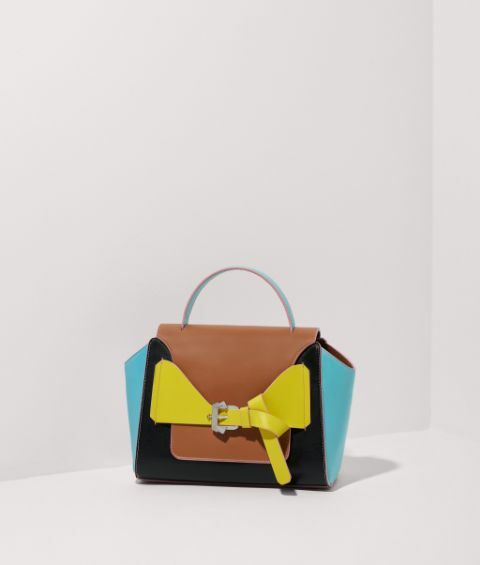 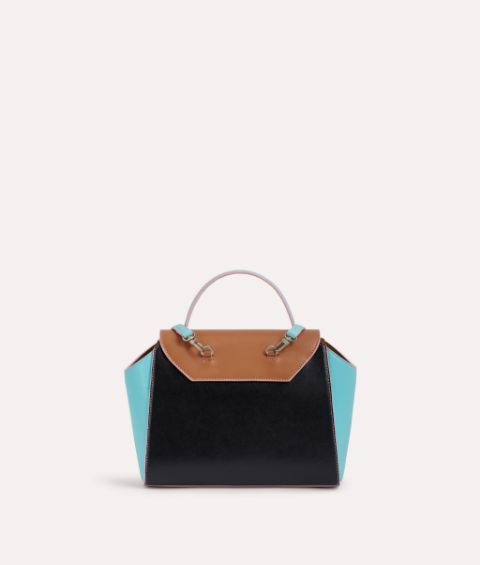 The structured silhouette comprises colour blocked black, blue and yellow panels, detailed with blush pink edging and contrasting stitching. 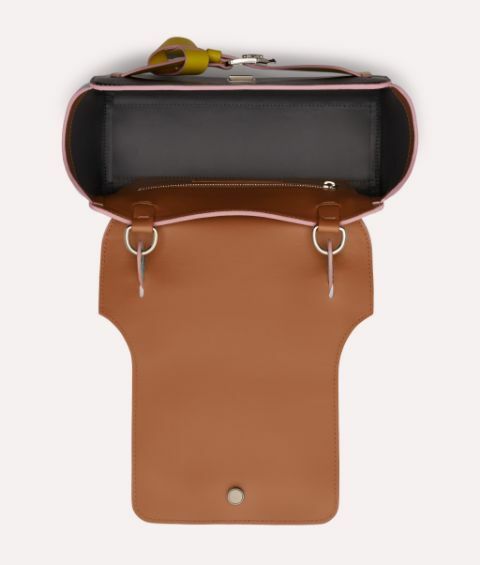 The vibrant shades are complemented by the stunning polished silver metal buckle, while its generous interior compartment makes this the perfect city bag.